Warm and muggy tonight with spots of rain, a little breezy but much calmer than it was during the day. Plenty of Moths about the most notable being Purple Bar a lovely pretty Geometrid probably overlooked at times due to its small size, it being another new species for my Garden. 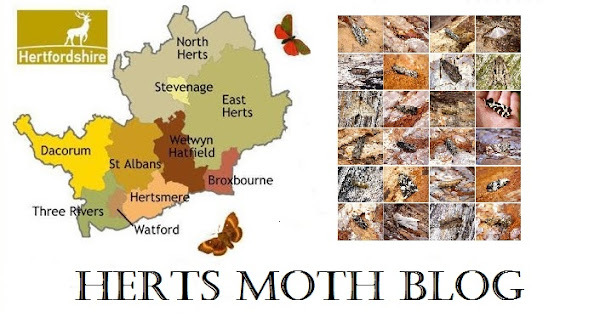 The end of summer theme continued with 2 fresh Rosy Rustic Moths. Also a new Micro which I very nearly overlooked, a tiny straight micro, with a broad black stripe running along it's side.....it should be familiar but I cannot put a name to the species! Lovely group of Moths,well captured.